Earlier this week WCBS 880 featured two of our interns, Ardsley's Felicia Barber and her fiancé Riley Wentler who are planning to get married after they land a full time job. Both write our weekly Slice of Greenburgh history and highlight bytes of Greenburgh history that residents will find interesting. This week's story--the historic Ferncliff Cemetery. Our town is lucky to have two amazing young interns working for us! Whatever name this hall of heroes is given it is certain that once a person has earned their place there, their memory shall live forever. For residents of Greenburgh, this Hall of Heroes is Ferncliff Cemetery located on 280 Secor Road Hartsdale, NY 10530 which fittingly for a hall of heroes even bears the slogan “Where Memories Live Forever.” As a non-sectarian cemetery people from all cultural traditions can be buried there. Ferncliff Cemetery was established on February 26, 1902 (http://ferncliffcemetery.com/about/). It contains three Mausolea: Ferncliff Mausoleum built in 1927, the Shrine of Memories built in 1956, andRosewood Mausoleum built in 1999 (http://ferncliffcemetery.com/mausolea-grounds/). According to Ferncliff staff, there are approximately 148,000 people buried in the cemetery. Here are some of the cemetery’s most famous residents. James Baldwin was born in Harlem in 1924. His parents were Emma Birdis Jones and the preacher David Baldwin. He attended De Witt Clinton Public High School in New York. At age 14 he became a Pentecostal Preacher. However, three years later, he realized he was gay and left the church entirely. He then moved to Greenwich Village and started writing. His first collection of essays which focused on exposing and combatting racism in America was entitled Notes of a Native Son. He finally became so disgusted with the extent of America’s racism that he left the country in 1948 and moved to Paris France. There he wrote his most famous novel Go Tell It on the Mountain which was semiautobiographical and explored religious conversion. He then wrote his second novel in 1956 entitled Giovanni’s Room which explores a man’s quest for sexual identity. The following year he returned to the United States and became a major figure in The Civil Rights Movement after writing his second collection of essays Nobody Knows My Name (1961) and third novel The Fire Next Time. The success of these two volumes enabled him to speak out against racial discrimination and segregation in many interviews. In order to continue to emphasize the fact that America didn’t feel like home for many African Americans in the ‘60s, he wrote his fourth novel Another Country (1962). He collaborated with the photographer Richard Avedon on many other anti-discrimination themed works until 1985 and then died in 1987 (MICROSOFT ENCARTA, 1993-2003 Microsoft Corporation). Judy Garland was born in Grand Rapids Minnesota in 1922. Her real name is Frances Gumm. Her father owned a theater. This is where her singing career began at age 2. In 1927 when she was five, she and her sisters toured the country as the group The Gum Sisters. They continued until 1935. A year later, she began her career as an actress. Her first major success was Broadway Melody( 1938,) shortly followed by her Academy Award winning performance as Dorothy in The Wizard of Oz in 1939. Some of her other films include: A Star Is Born (1955), Judgment at Nuremberg (1961), I Could Go on Singing (1963), and her last film, A Child Is Waiting (1963). She died six years later in 1969 (MICROSOFT ENCARTA, 1993-2003 Microsoft Corporation). Jim Henson was born in Greenville, Mississippi in 1936. He is the creator of The Muppets, which first appeared on television in 1954 as part of a skit for The Ed Sullivan Show, and then became the stars ofSesame Street in 1969. Later they had their own show The Muppet Show from 1976-1981. They have also been in several movies: The Muppet Movie (1979), The Dark Crystal (1982), and The Muppets Take Manhattan (1984). Jim Henson died of pneumonia in 1990 (MICROSOFT ENCARTA, 1993-2003 Microsoft Corporation). Malcolm X’s real last name is Little. He was born in Omaha, Nebraska in 1925. His parents were Earl and Louise Little. His father Earl was a Baptist Preacher who wanted African Americans to be as socially and economically independent of white people as possible, and therefore supported the "Back to Africa" movement. In 1931 the fiery preacher was murdered. His murder had a profound effect on his son, Malcom. After his mother suffered a mental breakdown due to grief, he was sent to a foster home and a reform school. At seventeen, Malcom became a criminal engaging in drug dealing and armed robbery. At age twenty he was arrested and sentenced to ten years in prison for burglary. In prison, Malcom had a religious awakening after reading some books that explained the teachings of Elijah Muhammad, the founder of The Nation of Islam. The Nation of Islam is a group that espouses Black Islam. Black Islam mixes traditional Islamic teachings with Marcus Garvey’s principles of Black Nationalism. The result of this synthesis is a religion in which all white people are the devil incarnate and a prophecy of an eventual holy war where African Americans rise up and destroy all white people. Malcom became wholly devoted to this religion. When he was released from prison in 1952, he dropped the last name “Little” and took “X” as his last name, as part of his conversion to The Nation of Islam, when he joined a temple in Detroit. Two years later he established the religion’s newspaper, Muhammad Speaks. In 1959 he became the leader of The Nation of Islam. Under his leadership The Nation of Islam helped start many all-black farms, food stores, restaurants, and small businesses which were a tremendous help to many African Americans. However, The Nation of Islam is not a peaceful organization. Throughout the 1960s Malcom and his followers openly criticized Martin Luther King Jr and similar civil rights leaders who advocated non-violence because they believed that African Americans should create their own moral codes, societies and political states rather than integrate with whites. The group believed that while non-violence worked well for Martin Luther King’s goal of integration, a goal they despised, the better goal of true Black Nationalism required a true violent black revolution. Jazz Musician Cab Calloway for information on Cab Calloway read our article Greenburgh and The Arts (http://www.greenburghny.com/Cit-e-Access/news/index.cfm?NID=47278&TID=10&jump2=0)He is the first artist described in our earlier article. 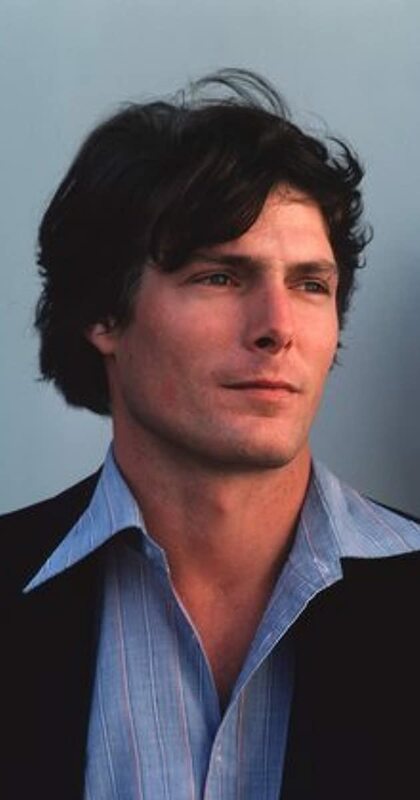 Christopher Reeve was born on September 25th, 1952, in New York City. His mother Barbara Johnson was a journalist and his father Franklin Reeve was a professor. At age four, his parents divorced, so he moved to Princeton, New Jersey to live with his mother. Upon graduation from high school, he attended Cornell University. In his senior year, he and his classmate, Robin Williams, were the only two students chosen to study to become professional actors at New York's famous Juilliard School. His most famous role was Superman in (1978). Tragically, in 1995, he fell from a horse and became paralyzed. He died in 2004, at the age of 52(https://www.imdb.com/name/nm0001659/bio?ref_=nm_ov_bio_sm). Microsoft Corporation. (1993-2003, (Not Given) (Not Given)). Encarta Encyclopedia . Redmond , Washington , United States of America .